I passionately believe in the insights contained in this work. My driving motivation is to stimulate everyone, no matter what your origins and background, to improve your lives. I hope that this book has inspired and encouraged you to know more. I have created a reservoir of resources to help you put the Savanna Model principles into practice. Everyone serious about adopting the Savanna Model will find the monthly newsletter an indispensable aid to keep focused on the essentials. Editors of food magazines cannot afford to upset their advertisers, so their editorial matter is at best bland, uncontroversial, and meaningless. The Natural Eating newsletter takes no advertising and so it is free to give an honest, straight-from-the-shoulder, Savanna Model viewpoint. It typically contains packed pages of hints, tips, health updates, food/disease connections, readers’ questions and answers, recipes, the Savanna Model view of breaking news, survival skills (marketing campaigns de-bunked); and much more. Subscribe at www.TheSavannaModel.com. This is my wife Nicole’s essential handmaiden to everyone living the Savanna Model way. It contains interesting, tasty, and practical recipes that fit in with the Savanna Model precepts. Available at www.TheSavannaModel.com. Originally produced for the 35,000 employees of American Standard Inc., the introductory guide is an easy overview of the Savanna Model. In 32 pages, it contains the distilled essence of the principles and practice. Produced in full color and illustrated with specially commissioned watercolors, it also makes a superb gift. The manual is for the serious practitioner. It contains step-by-step implementation, precepts, charts, tables, and detailed information. It is a hands-on, practical specification for eating the Savanna Model way. Both are available at www.TheSavannaModel.com. A prime feature of the Savanna Model is to eat a low-glycemic diet. Scientists have tested a great many foods (most of them processed) and this Website, compiled by Jennie Brand-Miller at Sydney University, contains a compendium of the test results. However, many of the tests need to be interpreted, as we did for the carrot’s glycemic index in chapter 7. Also, we do not agree with the interpretation that Brand-Miller puts on the tests. With these caveats, the raw data is a valuable resource. Many groups are fighting the tidal wave of food industry propaganda. Although they occasionally take positions on some issues that we do not agree with, they cast a light on the dark and grubby corners that the food industry wants to keep under wraps. The USDA is the home of the infamous food pyramids and the Dietary Guidelines for Americans. These jostle for visibility among the USDA’s advice to farmers about subsidies for sugar production and how to export hormone-treated beef to Japan. The USDA’s nutrition database at www.nal.usda.gov/fnic/etext/000020.html is a useful compendium of the composition of a wide variety of foods. Most of the foods are processed and proprietary brands, but this is still invaluable for generic foodstuffs as well. Here you can follow how the FDA tries to hold the line against the food industry’s pressure to approve all kinds of unsuitable products for human consumption and make health claims to boot. The NIH is a part of the U.S. Department of Health and Human Services and is the primary federal agency for conducting and supporting medical research. Its results are less likely to be tainted by commercial pressures than from other sources. I have included all the relevant books in the list of references, but here is a selection of the primary sources readily accessible to the interested reader. The Lost World of the Kalahari by Laurens van der Post (New York: Harcourt Brace Jovanovich, 1977). Written by the South African explorer and guru to Prince Charles, this is an inspiring account of van der Post’s expeditions in the 1950s to discover the lives and fate of the disappearing San bushmen. 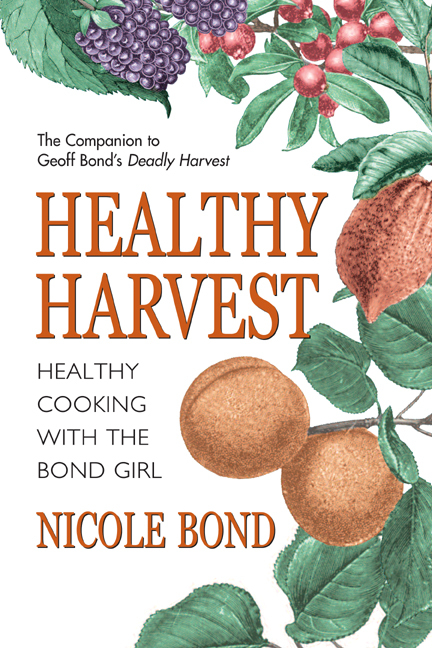 Contains fascinating information on their hunter-gatherer feeding habits. Triumph of the Nomads: A History of Ancient Australia by Geoffrey Blainey (South Melbourne, Australia: Macmillan, 1982). The Australian Aboriginals were the last major group of hunter-gatherers to come into contact with the West. As such, we have many explorers’ accounts of their ancient way of life. Blainey has drawn this knowledge together in a readable and informative book. Vaka: Saga of a Polynesian Canoe by Thomas R.A.H. Davis (Auckland, New Zealand: Polynesian Press, 1992). A precious and rare account, by the royal chief of the Cook Islands, relating how the seafaring and gardening societies of Polynesia lived their lives before Western contact. Fiji’s Times: History of Fiji by Kim Gravelle (Suva, Fiji: Fiji Times, 1988). A review of the bloodthirsty history of Fiji before and during Western contact. An insight into the natural history of this fishing and gardening, yet warlike, society that made cannibalism an integral part of its dietary habits. The Natural World of the California Indians by Robert Fleming Heizer and Albert B. Elasser (Berkeley, CA: University of California Press, 1981). Most American Indian tribes were hunter-gatherers until the arrival of Europeans. This book describes the people, how they lived, what they manufactured, and in some cases what they thought, before their traditional aboriginal way of life was destroyed. Guns, Germs, and Steel: The Fates of Human Societies by Jared Diamond (New York: Vintage, 1998). This broad sweep of human history explains how, where, and why agriculture developed over the last 13,000 years. It describes the types of new plants and creatures that farmers domesticated and how their new lifestyle changed the fortunes of their societies. In the Shadow of Man by Jane Goodall (Boston: Houghton Mifflin, 1988). A classic account of the first studies in the wild on our closest cousin, the chimpanzee. Many insights into how they lived their lives and fed themselves. Gorillas in the Mist by Dian Fossey (Boston: Houghton Mifflin, 1983). A riveting account of the first studies in the wild on our next closest cousin, the gorilla. Demonic Males by Richard Wrangham and Dale Peterson (Boston: Houghton Mifflin, 1996). The authors dispel the notion that human males are “depraved because they are deprived.” Here, they compare the behavior of human foragers, gorillas, and the most violent of all, the chimpanzee. If we are to channel violence, war, and hatred, we have to understand how these forces came about in our evolutionary past. The Blank Slate: The Modern Denial of Human Nature by Steven Pinker (New York: Penguin, 2003). Pinker, with surgical precision, slices away the myth of the “noble savage” to replace it with a wide ranging exposé of the deep undercurrents driving human behavior.